Bill was born and raised in the Chicago area. He attended the University of Illinois at Chicago and later transferred to Worsham College of Mortuary Science in Wheeling, IL, graduating in 1997. He completed his apprenticeship at Donnellan Family Funeral Services in Skokie, IL and stayed with the firm as a licensed funeral director. He earned his Bachelor's of Science degree in Management from National-Louis University in Chicago. Rebecca was born and raised in Waterloo, Iowa and graduated from Waterloo West High School. She received her Associate of Arts degree from Hawkeye Community College in 2004. Rebecca attended Worsham College of Mortuary Science in Wheeling, IL where she obtained her Associate of Applied Science degree. She completed her apprenticeship in Skokie, IL where she met and married her husband, Bill Camp. She later transferred to a funeral home in Highland Park, IL where she worked as a licensed funeral director. Together, Bill and Rebecca share a career they both love. When the opportunity arose to move back to the Waterloo area, Rebecca and Bill were very excited to be part of a small town, where they both live and work. Both have become actively involved in community activities. Rebecca and her husband feel honored to be able to serve the communities of Eldora, Dike and Reinbeck, in addition to Wellsburg and Grundy Center. They reside in Grundy Center with their two daughters, Sydney & Emma. 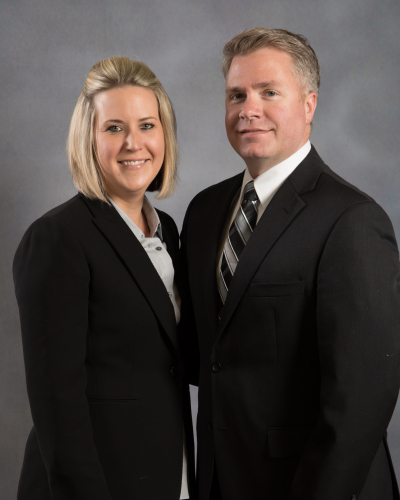 Bill and Rebecca are members of the Bethany Presbyterian Church in Grundy Center, the National Funeral Directors Association, where Rebecca serves on the Member Resources Advisory Group, and the Iowa Funeral Directors Association, where Rebecca serves on the Iowa Legislative Board. Rebecca is also a peer reviewer for the Iowa Board of Mortuary Science. Both enjoy volunteering for their communities and are active in the local Meals on Wheels program. They also work as movie theater projectionists at the Center Theater in Grundy Center. Bill's hobbies include watching movies, playing darts and spending time with his family. Rebecca enjoys reading, exercising and golfing. Both Bill and Rebecca enjoy watching their eldest daughter Sydney in all of her extra circular activities, and spending time with their family. Adam was born and raised in Grundy Center, where he worked in several local establishments while attending high school. After graduating from high school, he pursued a career path in the emergency service fields including fire service, emergency medical services and law enforcement. Adam is certified as an EMT-B. As a certified instructor, he shares his knowledge and experience of these fields by instructing new students entering the fields of emergency medicine and law enforcement. Adam received his Associates of Applied Science degree in Emergency Management from Frederick Community College, Frederick, Maryland in 2012. Adam’s pride and joy are his wife, Brandie and their three children Peyton, Brooklyn and Brogan. Adam is an avid Iowa Hawkeyes fan and enjoys watching their games. He is an Entered Apprentice Mason with the Eldora Masonic Lodge. He enjoys fishing and competition barbeque where he has won several contests, but most of all he loves being a husband and father to his family. Adam was born and raised in Arlington, Iowa and graduated from Oelwein High School. He graduated from Hawkeye Community College with an Associate of Applied Science in Agricultural Business in 2013. Adam attended Worsham College of Mortuary Science in Wheeling, IL where he obtained his Associate of Applied Science in 2017. Adam joined the Abels staff in March of 2017. He is excited to get to know and serve the Reinbeck community. In Adam's free time, he enjoys being outdoors, spending time with family and friends, and helping on the family farm. Travis Bouska, the son of Gary and Sue (Rosonke) Bouska, was born and raised in New Hampton, Iowa. He graduated from New Hampton High School and also attended Wartburg College in Waverly. He graduated from Worsham College of Mortuary Science in 2006 and served his apprenticeship under Hugeback Funeral Homes in New Hampton. When the opportunity arose,Travis was excited to join Abels Funeral Homes in 2019. A small town native, Travis wanted to continue to work in a small town, where he looks forward to meeting new people and serving families. 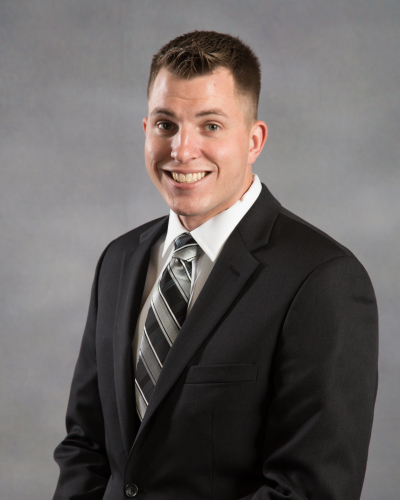 Travis is a Licensed Funeral Director in Iowa and Wisconsin. In his free time, Travis enjoys singing, reading and taking road trips with friends. 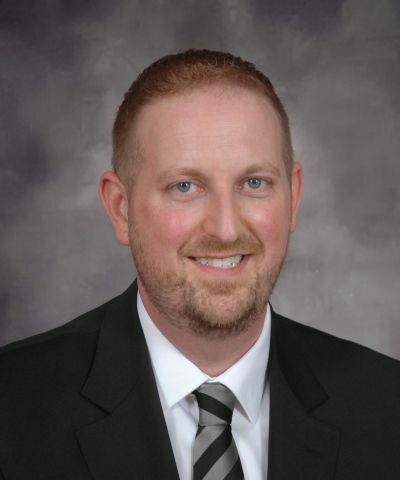 Travis is a member of the Iowa Funeral Directors Association and currently resides in Eldora. Larry has been helping at the funeral home since 1997. He is a lifelong resident of the Eldora area and graduated from the Owasa High School in 1953. He spent two years in the United States Army. Larry worked for Farm Service for 30 years before retiring in 1998. Larry has been a member of St. Mary's Catholic Church his entire life. Larry is married to Grace who also helps at the funeral home. Larry & Grace have been married 31 years. Grace is from Humboldt, Minnesota and has worked for United Suppliers in Eldora for 31 years and hopes to retire in a couple of years. Larry and Grace both enjoy working with people and try to help comfort in a time of sadness. Larry and Grace have seven living children and two deceased children. 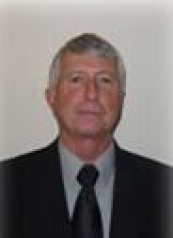 Mike joined the staff at Abels and French-Hand Funeral Homes in 2005. He and his wife Karen farm west of Reinbeck. For many years, Mike was a teacher at the high school and middle school levels. He also coached in the high school and middle schools in the area. Mike continues to substitute teach part-time. Mike and Karen have three adult children, Paul, Paula, and Kerry. Jake joined the staff at Engelkes-Abels Funeral Home in June, 2007. 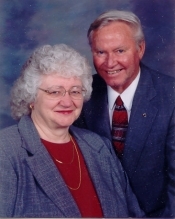 Jake and his wife Wava, have lived in Grundy Center for the past 48 years. He grew up and graduated from Ackley High School in 1957. After graduation he served 2 years in the Army, stationed in Giessen, Germany. He was employed by Simpson Furniture in Cedar Falls and later employed by Frederick Furniture in Grundy Center as a floor mechanic and salesman for 17 years. In 1992 he chose to become an employee of Grundy Mutual Insurance in Grundy Center and later became the Manager of the Company, retiring from that position on December 31, 2007. Jake is a member of the Colfax Center Presbyterian church, rural Holland, and has served both as a Deacon and Elder. He is a member of the Grundy Center Kiwanis, and enjoys being involved in community activities. Jake and Wava have one daughter, Staci Cardamon, son in law, Joe Cardamon, two grandchildren, Anna and Joey who attend the Ankeny school system in Ankeny, Iowa. Grandpa and Grandma enjoy attending their grandchildren's many extra-curricular activities. Carol joined the staff of Abels and French-Hand Funeral Homes in June of 2014. Carol recently moved back to Grundy Center after her husband, Bob Thompson, passed away in January of 2014. She graduated from Worland High School in Worland, Wyoming in 1965. She then spent many years as a homemaker and raising children. She graduated from UNI in 1995 with a General Studies degree, worked at Collectors News, the University of Northern Iowa, and Black Hawk Abstract Company before becoming the director of the Kling Memorial Library in 2000. She retired in 2012. She and Bob have five children, 11 grandchildren and one great-grandson. She is a member of the First Presbyterian Church, Grundy Center and served on Session, as an Elder, and Sunday School teacher, is a member of Eastern Star Coinette Chapter 273 of Reinbeck, served on the Grundy Center Chamber of Commerce, president of the Iowa Small Library Association, and president of the Grundy County Library Association. Carol enjoys reading, needle work, walking and spending time with friends and her grandchildren. 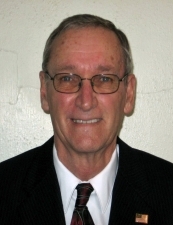 Delmar joined the staff of Abels and French-Hand Funeral Homes in 2014. 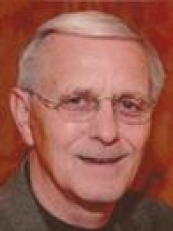 He is a lifetime resident of Grundy Center, graduating from Grundy Center High School in 1966. He joined the US Navy and was stationed at Subic Bay in the Philippines. Delmar worked for Control-O Fax Corp. in Waterloo for 21 years and Lennox Industries in Marshalltown for 15 years and retired in 2012. Delmar is a member of the Bethany Presbyterian Church where he has served as Trustee, Deacon and Elder. He is a member of the American Legion and Amvet Post #17 of Grundy Center. Delmar is the father of two adult children, Brad Flater and Kim Boren both of Grundy Center, and a Grandfather of four who keep him busy attending sporting events. Lori joined the staff of Abels and French-Hand Funeral Homes in 2013. She graduated from Grundy Center High School in 1979, and is a longtime member of the Grundy Center area. Lori worked for Farmer's Coop for thirteen years, and for the Grundy County Landfill for nine years, before becoming an administrative assistant at Hawkeye Community College/Western Outreach Center in 2009. She is a member of First Presbyterian Church, where she serves as church secretary. Lori resides in Holland with her husband, Jerry. They have two grown children; Todd (Allison) Schoolman, and Keri Schoolman. And they have two grandchildren, Dawson and Quinn. 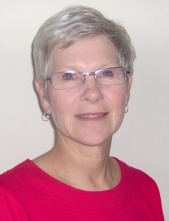 In her spare time, Lori enjoys spending time with family, especially grandchildren, and being outdoors. Her employment with Abels and French-Hand Funeral family allows her to share her passion of working with people and being there to help comfort in a time of need.